Most writers long for a dedicated space to write. Some are lucky to have an office. Others make do with the kitchen table or a nook in the laundry room. Author Bethany Hegedus does us all one better – she has a complete barn. Located in Austin, The Writing Barn is a space especially designed for writers and artists to study and work on their craft. Recently I caught up with Bethany and we chatted about the Writing Barn, books and her advice for unpublished writers. Tell us about what led you to writing and your road to publication. Ah, the rocky road to publication. Whether it’s a long one or a short one, it all feels uphill as a writer is pursing publication. It can feel uphill after publication, too, but instead of complaining about those darn hills, I try to focus on the writer muscles that are being developed during those apprentice years. Being able to hear “no” and not let it stop our creative selves from exploring and continuing to work, is the muscle that gets developed the most in those early years. When I first began writing seriously, I had wanted to be published within a year. I didn’t know that was unrealistic. Later, I heard Stephanie Owens Lurie, now Editor at Disney Hyperion, say on average it takes about ten years. I began writing in 99 and my first book, Between Us Baxters, came out in 2009 and my second novel Truth with a Capital T in 2010. So ten years was the magic number for me. How did the Writing Barn start? What has been the most exciting thing that has happened so far? The Writing Barn is the dream I never knew I had and it all happened because I moved to Austin and met and later married my life’s partner who had an incredible 7.5 acres in Austin, where a once working horse barn sat at the back of the property. When I met my husband, he was in the middle of transforming the house on the property into a retreat workshop space for yoga and Sanskrit, which he studies but when we got serious and marriage was in the picture I said, the house should be the house and the Barn, which was to be my office, could be a workshop and retreat center. So we got to work. Or rather our contractor did. We opened in January of 2012 and have grown so much in what we offer in terms of programming, parties, book launches—it’s amazing. The most exciting thing that has happened so far has been hosting the authors and illustrators affiliated with the Texas Book Festival for a welcome party, which included such incredible authors as the new Newbery winner Katherine Applegate and picture book gods Jon Scieszka, Adam Rex, and Bob Shea, and Austrialian author Garth Nix. Oh, and Lisa McMann and Paulo Bacigalupi. The other is the Advanced Writer Weekend Worksops we’re doing. Our April workshop with National Book Award nominee, Sara Zarr, had 32 applicants for 20 workshop spaces. Sara arrives in two weeks and I can’t wait to serve as her teaching assistant and welcome our guests from Texas and out-of-state. How do you find balance between your writing life and your Writing Barn duties? Balance? What’s that? Just kidding, I do find that while my writing life and Writing Barn life may not be balanced all the time they do feed one another. When I need a break from drafting, I work on the programming and marketing of the Barn. When there is a big event at the Barn it takes precedence, but with writers coming to write, retreat, workshop and create I am always fed artistically in conversations and in knowing the space is being used creatively by others. I love hearing what retreat guests have to say about how the space allowed them to open up and get hard work done in a serene space. Who are the writers that inspire you and why? Sara Zarr is one, which is why I asked her to come teach at the Barn. There is no one better in contemporary realistic fiction and I am excited to hear her lecture on emotional pacing and to read her latest novel, The Lucy Variations. Another, is a writer I am in talks about coming to teach next year. Rebecca Stead. Her voice and her characters are succinct and surprising. Firstly, that becoming a novelist or a picture book author takes time. My latest book, Grandfather Gandhi, which I co-wrote with Arun Gandhi, grandson to the Mahatma, comes out early next year. I began the project when I was 27 and Arun was 67. When it hits the shelves I will be 41 and Arun 81. 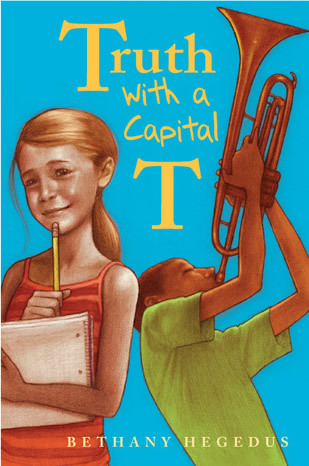 I may have been frustrated with the years spent drafting the book, revising, and revising, the near misses at publication and then the contract offer and wait for the illustrator assignment and illustrator vision to be fully realized but I recently saw the final online galleys and the book is a thing of beauty. It’s much more than I could have hoped for in terms of vision and impact and I wouldn’t change one frustrating moment. Secondly, it’s always, always about craft. A writer must study, read, take classes, participate in workshops, listen to lectures, talk to other writers. Good writers never stop learning and they never stop producing. That’s why I began the Advanced Writer Weekend Workshops to give those who are agented or published, or on the verge of being agented or published a place to go to continue to do the nitty, gritty work of sharpening the tools in our writer toolbox. What’s next for the Writing Barn? We have a book release party coming up in May for Ball, written and illustrated by Mary Sullivan. It’s going to be a wonderful day of books, dogs, balls, and a fundraiser for Austin Pets Alive. We’re looking forward to having many writers and writers groups retreat with us this summer and come fall we’ll be hosting the Texas Book Festival Kid Lit Authors & Illustrators again and we’re currently accepting applications for our November workshop with Francisco X. Stork. Slated to be with us in 2014, is agent and author Ammi Joan Paquette and hopefully Rebecca Stead. 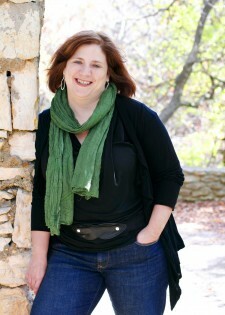 You can learn more about Bethany Hegedus and the Writing Barn at http://www.thewritingbarn.com/. Bethany’s books are also available at your favorite online or brick and mortar bookstore.